Does Your Home Need Foundation Repairs? Your home may be the foundation of your family and even your life, but your home relies on a different kind of support. This is why it is important to recognize the signs that indicate that you might need foundation repair serving San Antonio. Before you can call a contractor, you must know what to look for and understand what you are seeing. Here is your look at a few tips on evaluating whether or not your home needs foundation repairs. While a small amount of unevenness due to settling may not be an issue, certain issues that you may notice around the house might suggest otherwise. Some indicators, like cracks in your walls, are more obvious. These cracks typically appear near windows and doors as well as in the areas where ceilings and walls meet. You may also find them in tile over concrete. If you notice that your doors and windows are not opening and closing as easily as they used to, this may also be a sign that your foundation is in need of repair. You can also walk around your house and check to see if any of your walls are leaning. 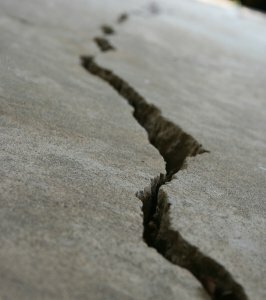 The sight of a single crack in your concrete may alarm you, but it is important to remember that not all concrete cracks are problematic. Since concrete shrinks as it cures, it is common to see a few small cracks in your foundation. Hairline cracks and cracks found at perpendicular junctures may not be signs of trouble with your structural integrity. Cracks that are horizontal or resemble a set of stairs , on the other hand, may warrant your concern. If you see larger cracks like these, it is a good idea to call a professional. Understanding these signs of trouble can allow you to call for a professional foundation repair service sooner rather than later. This is a significant job that must be done with the utmost care and professionalism, so it is important to find a trustworthy foundation repair service in your area.